Not-for-profit medical care insurance company, Medavie Blue Cross (MBC), wanted to launch their first new health plan in 15 years. The goal: to attract and engage Millennials while still reaching a broader Atlantic Canadian audience. Our Medavie Elements “Live. Love. Grow.” campaign was a success, generating 3,000 actions aligned with the campaign’s KPIs and it continued to run through 2016. Campaign creative evolved in 2017 to target Millennials even further. 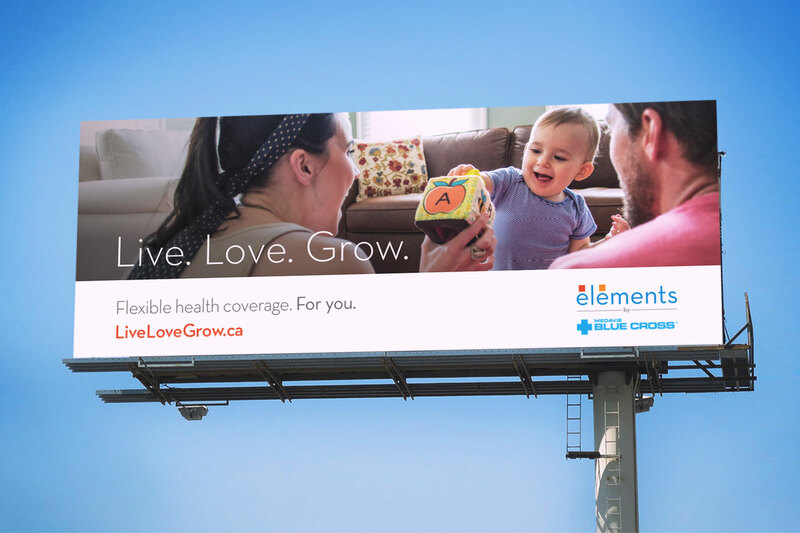 As the new AOR for Medavie Blue Cross (MBC), T4G Kick’s first assignment was to brand and launch a new health plan called Medavie Elements, targeting Millennials with mobile careers in Atlantic Canada. 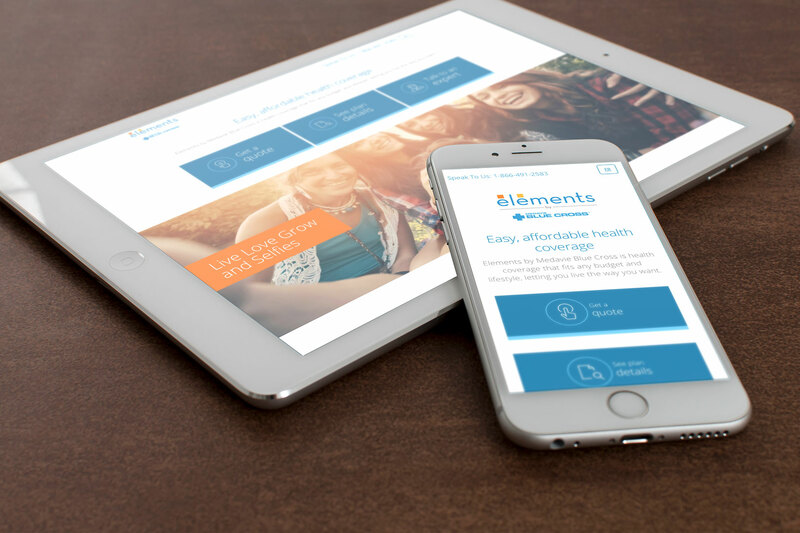 To reach an audience not traditionally concerned with health insurance, we developed creative around life’s major moments, focused on flexibility and affordability, and targeted through digital spaces. 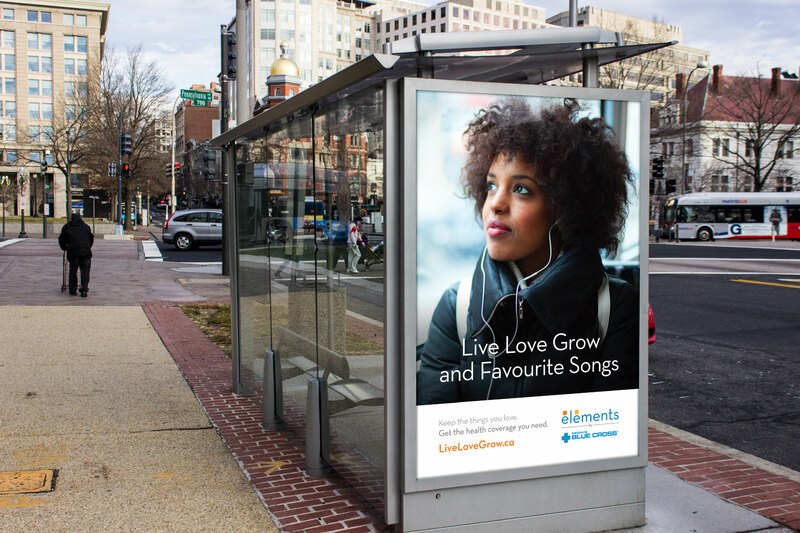 With health insurance generally considered a low-interest category that is not always pleasant to think about, the challenge was to create an emotional connection with our audience to inspire them to look at the MBC brand and not just the price point when choosing a health plan. We began with focus group testing to understand the wants and needs of MBC’s target market (digital savvy young professionals in both French and English). Armed with that knowledge, new video and photo assets were shot to be used in the campaign’s creative. The campaign, delivered in two flights (spring and fall), focused on the digital spaces we knew these Millennials occupied. While TV, outdoor, and radio ads were also used to increase awareness and place MBC top-of-mind for consumers before and when they needed insurance, Millennials were also directly targeted through social media, SEM, mobile, and video, and driven to a new, custom microsite (in keeping with their digital affinity). Interests linked to life events (graduation, marriage, having children, starting a business, etc.) were targeted to ensure the campaign was being seen by the right people. Throughout the campaign, website conversion goals were used to optimize the media buy (SEM, social, programmatic). We analyzed the spring flight campaign report together with MBC to make changes and optimize the fall flight. KPIs for the campaign included visits to the Elements microsite, clicks on ‘Get a Quote’, and calls to a special 1-800 number. During the two flights, more than 3,000 actions aligned with the campaign’s KPIs were made. The heavy use of video was particularly successful in this campaign, reaching more than 269,000 people for a cost-per-view of $0.03. Our “Live. Love. Grow.” campaign was deemed successful by MBC and has been updated to target the Millennial audience even further in 2017. 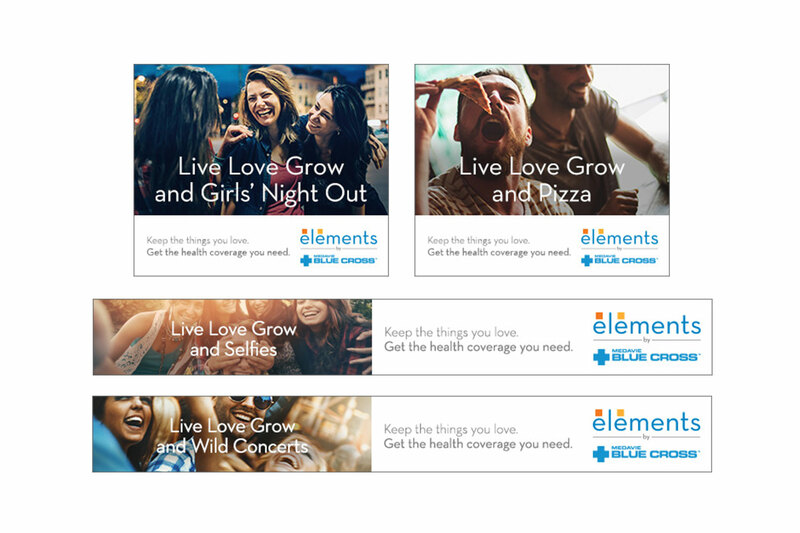 MBC continues to be a T4G Kick client and is currently engaged in managing the ongoing Elements campaign evolution including strategy, creative, media, and reporting.